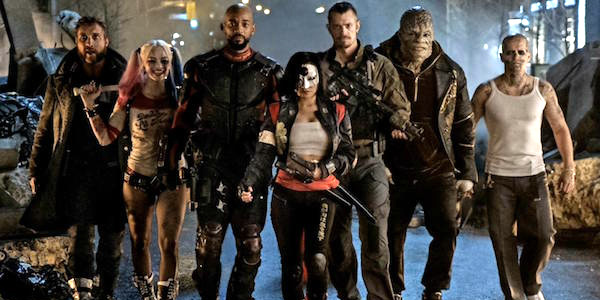 The $135 million plus opening weekend success of Suicide Squad can be attributed in part to its appeal to minority moviegoers. It seems that using a Fast & Furious type casting approach when it comes to diversity helped drive minority auds to the theater to see the film. It should be no surprise (except to studio heads) that Black and Latino audiences turned out to see to see actors like Will Smith (Deadshot), Jay Hernandez (El Diablo), and Adewale Akinnuoye-Agbaje (Killer Croc) playing superheroes/supervillians. After seeing it I can attest that although fun and action packed it is not a good film and appears to have scenes that were cut out after the team finally gets together. There are none of the obligatory get to know you, don't like you, fight you, and then like you bonding scenes that help you get to know the characters. But that didn't stop minority audiences from going to see the superhero/supervillain film that featured characters they felt they could relate to. The diverse film cast includes Will Smith, Jared Leto, Margot Robbie, Joel Kinnaman, Viola Davis, Jai Courtney, Jay Hernandez, Adewale Akinnuoye-Agbaje, Ike Barinholtz, Scott Eastwood, and Cara Delevingne. Sounds like someone doesn't know the premise of the film. That whole so-called "obligatory" formula isn't how the premise of the Squad works. Maybe so but that means the writing was horrible then. If what you stated is true Deadshot should have shot Harley, there should have no emotions shown when they thought Harley had left, and no emotion shown when they thought Fkagg's girlfriend had died. They should not have cared about each other at all and just fought to be free. Oddly enough no emotion is shown when's certain main character dies and is not even mentioned again. That's inconsistent writing.